Kansas State Football Player Comes Out [VIDEO] - Joe.My.God. 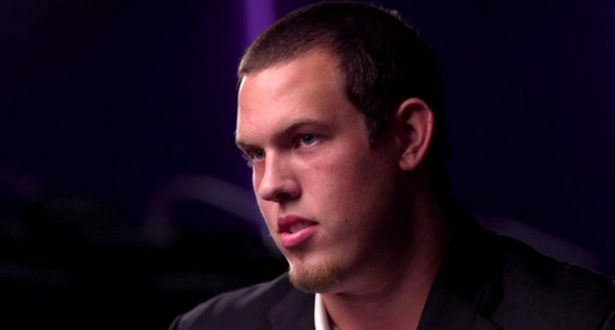 Asked to divulge a personal secret during an offseason team-building exercise last year, Kansas State offensive tackle Scott Frantz told his Wildcats teammates that he is gay. The Lawrence, Kansas, native started 13 games for the Wildcats last season, and he is expected to start at left tackle during his sophomore campaign. Per ESPN, Frantz and Arizona freshman defensive end My-King Johnson are the only two openly gay players in major college football. Frantz appears to retweet a lot of right wingers, so it seems likely he’s a homocon.